Not all metals play well together. And this spills over in to the world of electronics and the materials used therein. A relatively new and relevant example came about with the advent of RoHS and the desire to identify a "drop-in" replacement for SnPb(Ag) solders. 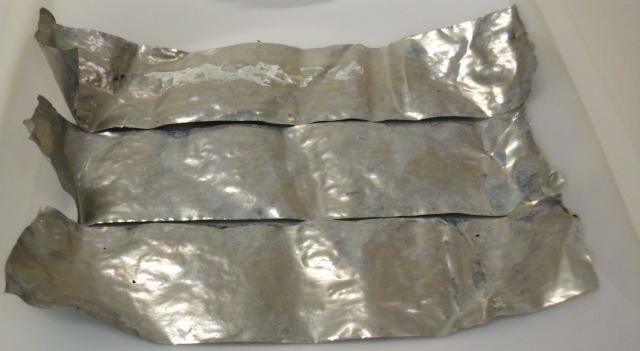 A eutectic blend of Sn (tin) and Zn (zinc) was very attractive as a possible replacement. 91Sn 9Zn is eutectic, does not contain any RoHS materials, and melts at 199C, only 16 degrees higher than eutectic SnPb solder and ~20 degrees lower than common SAC blends, and does not contain any expensive precious metals. But the alloy contains Zn. And that is a show-stopper for two reasons. Zn is quite reactive, making it very difficult to create a flux-vehicle that would allow for a stable solder paste (possess an appreciable shelf life). The second, the one which we will go into detail in this post, is the electrode potential of Zn. The greater the difference in electrode potential between metals, the higher the likelihood that galvanic corrosion will occur. The electrode potential of Cu (copper) is +0.334V. The electrode potential of Sn (tin) and Pb (lead) is -0.140V and -0.126V respectively. Whereas, the electrode potential of Zn is -0.761V. So, incidental contact of Zn to Cu can create a potential difference of 1.095V. Throw in a little humidity (moisture), and one has a prime scenario for galvanic corrosion to occur. It can be further aggravated by the presence of halide ions (salt spray). So, given all this, would a solder alloy of 91%Sn and 9%Zn be a problem? I did a simple experiment to find out. I took some SnZn solder ribbon and copper coupons, simply laid them on one another and exposed them to 85C/85%RH over the long Labor Day weekend (>72 hours). Below is an image of the SnZn solder ribbon before it was submitted to the conditions mentioned above. This last image shows the effect of incidental contact of copper with the SnZn solder ribbon. 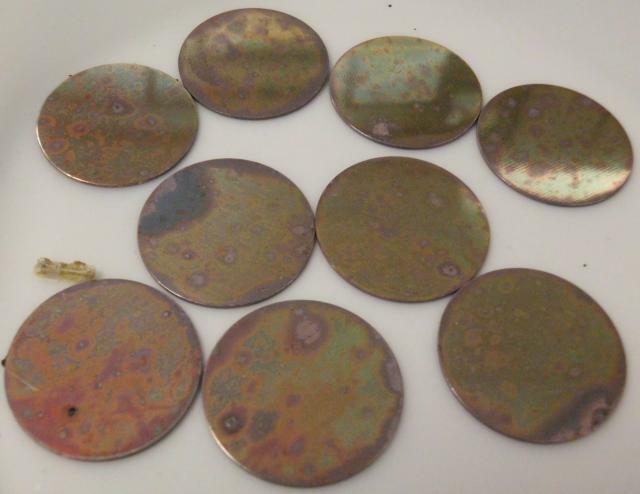 Take note of how much worse the oxidation/corrosion of the copper coupons is. 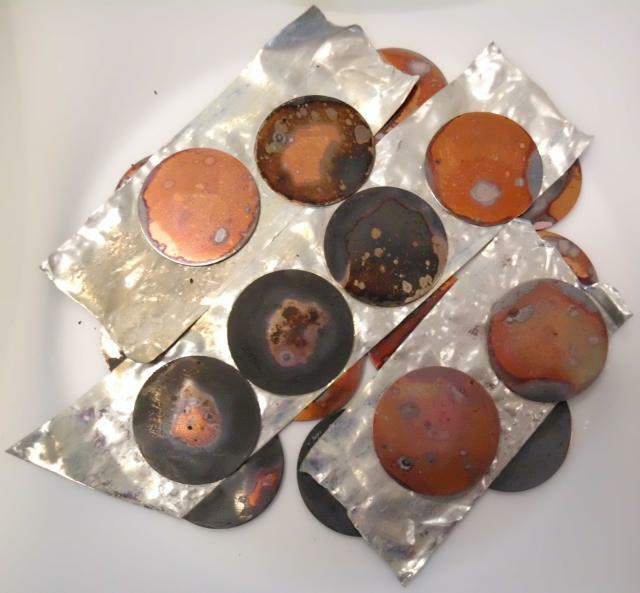 In this simple experiment we can see the effects of galvanic corrosion that happens through incidental contact of SnZn solder alloy to copper. I say "incidental contact" because the materials are merely touching each other, they have not been soldered together. It would be interesting to see if the effect would be as great if the materials were bonded together with no gap for water to penetrate.